When you’ve been in business in Omaha, or anywhere, for nearly half of a century, it’s a solid indicator that you operate in a reputable way. When the business is service-based and has built a reputation on treating individual customers as vitally important to the extent that they become long-term clients quite often, long-term viability is much more likely. That scenario we are describing is exactly what we have been attempting to do for the past 45 years. 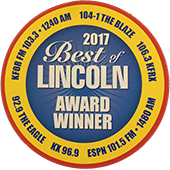 We’re a 3rd generation company, locally-owned and operated in Omaha and Lincoln, with appliance service centers in both locations. Our appliance service company has grown, but still remains deeply connected to the Omaha and Lincoln communities. 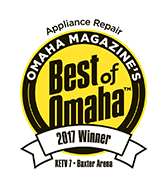 We’ve won multiple awards, like the Omaha Magazine’s “Best of Omaha” for appliance repair in 2017 and Angie’s List’s Super Service Award in 2016! At this point, we have 12 technicians and 6 customer service and office staff members. Why should you care about that? It means that we haven’t gotten too big for our britches, so to speak. 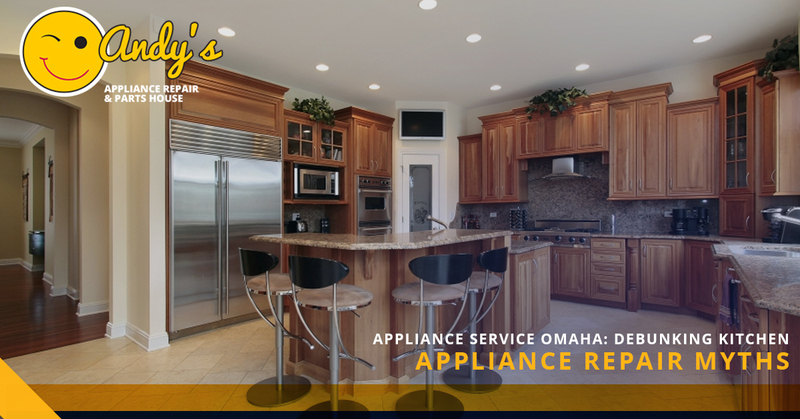 We have expanded our service area and our knowledge of appliance service repair in Omaha and Lincoln, but not at the expense of becoming a company that isn’t in touch with their clients or employees. We have a tight-knit culture here at Andy’s, and we believe that is a fundamental reason we are able to provide courteous, professional, and affordable Omaha appliance service. Today, we are taking the time to describe to our current and prospective customers some common kitchen appliance repair myths. We will look at a few misconceptions that can hurt your bank account (in a small or perhaps a big way) or at least inconvenience you to some degree. We think you should be as well-informed as possible when it comes to the appliances that you own. The longer you can extend their life, the more money you will save, so it definitely matters! 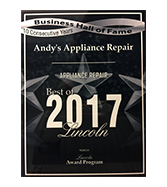 If you are interested in gleaning some appliance service tips from Andy’s Appliance Repair in Omaha and Lincoln, then by all means, read on! For those of our readers who are interested in dishwasher repair, It’s not necessarily a negative thing that there is water at the bottom of your dishwasher. In fact, if there is leftover water at the end of the wash cycle, it’s to be expected. Of course, if there is standing water in your dishwasher hours after you’ve run the dishes, that’s an issue. If there is some standing water shortly after the cycle, it’s a good thing because the dishwasher’s seals will be appropriately moistened in order to inhibit potential cracks from appearing. That moisture is vital to cracks not forming, which means the life of your dishwasher is extended. That means you don’t have to call your local appliance service providers in Omaha, which means you save money. But if you do have dishwasher repair issues, be sure you call in the professionals who have you covered, Andy’s Appliance Repair. It’s true that baking soda can do a job when it comes to getting some of that nasty funk out of the back of your refrigerator if you happened to leave those leftovers in there for a week, or a month, too long. Baking soda is certainly a convenient option when it comes to minor odors like that. But if you want something that will really do the trick, activated charcoal is a great choice. It’s superior at absorbing odor than baking soda, and it keeps bad toxins and moulds out of the kitchen. That way, it keeps your food fresh for longer. Beyond that, activated charcoal can behoove you in a variety of ways. Putting some in your kitchen cabinets or hidden on your counters and it can take away a variety of odors, including those emitted by smelly pets. Here’s the key to cooking with your ventilation system, turn your fan on before you start cooking. Your trusty, local appliance service company in Omaha recommends that you turn your fan on around 5 minutes before you actually start cooking in order to create some airflow. If you wait until all the smoke and steam are in full-effect, turning on your fan won’t have nearly as dramatic an impact. If you don’t mind the prospect of burning down your house, then do whatever you like! Oh, here’s a slightly related, random cooking tip. If you are struggling with too much smoke accumulating while you are cooking on your stovetop, try replacing olive oil with coconut oil. It has a much higher smoke point, which should help solve your problem. This is false. Even if your appliance is asleep, or in standby mode, it’s still racking up a few cents by the minute on your energy bill. One of the most guilty culprits of this is the microwave. Microwaves can use up to six watts an hour when they aren’t being used. Luckily, the solution to this issue isn’t too complex. In fact, you might have already stopped reading this post and gone and done it. If you haven’t, feel free to unplug your microwave, coffee maker, or toaster whenever you please. It might just shave off a few bucks from your energy bill, meaning you can enjoy one more pumpkin spice latte this month, should the mood strike you! This too, is false. It’s true that microwaves use radiation to heat up and cook food or drink. But it’s not true that being near the microwave will harm you. So whatever your mom told you about standing next to the door while it is in use can be ignored, officially. The only way that you might be harmed is if you were to own a microwave large enough for you to climb in while it is turned on. Luckily, we’ve never seen a microwave that big for that to be an issue. That being said, don’t try that. All that needs to be done in this situation is to make sure that the seals on your microwave door are in good shape, and carry on living your life! When it comes to cleaning your refrigerator, you need to be concerned with more than just the inside of your fridge. The condenser coils need some love too, and cleaning them is much more important to the lifespan of your unit than keeping the inside tidy. Make no mistake, keeping your refrigerator tidy is a good thing, but vacuuming off the coils from dust and debris a few times a year is essential. If you want to avoid calling us for refrigerator service repair in a few years, make sure you add this to your spring and fall cleaning checklist! If you’ve been searching for “appliance repair near me”, your search has ended. 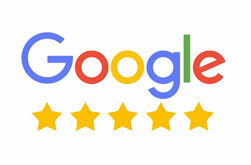 We make a point to make sure that each and every customer we serve is satisfied and well-informed about their options. Whether you are in need of washer, dryer, stove, dishwasher, or refrigerator repair, we can handle any and all appliance service issues. We also have an appliance repair clinic that has a wealth of appliance repair parts. That can make all the difference if the task requires ordering a new part, because we’ll be able to get it to you much faster than most anybody else around. We understand that price and quality is important to our clients, but so is timeliness. The difference between getting your refrigerator or washer back up and running within a day or two (as opposed to a week or two) can make a huge impact on your quality of life. If you choose Andy’s, we will do everything we can to make the turnaround time as expedient as possible. That’s part of the Andy’s difference. So no matter your specific kitchen appliance repair need, consider us the next time you have a question that none of our blogs can answer. Hopefully it’s just a simple repair and you’ll be up and running in no time. Schedule your appointment online, today!